Gatherings is what I’m naming this new undertaking. 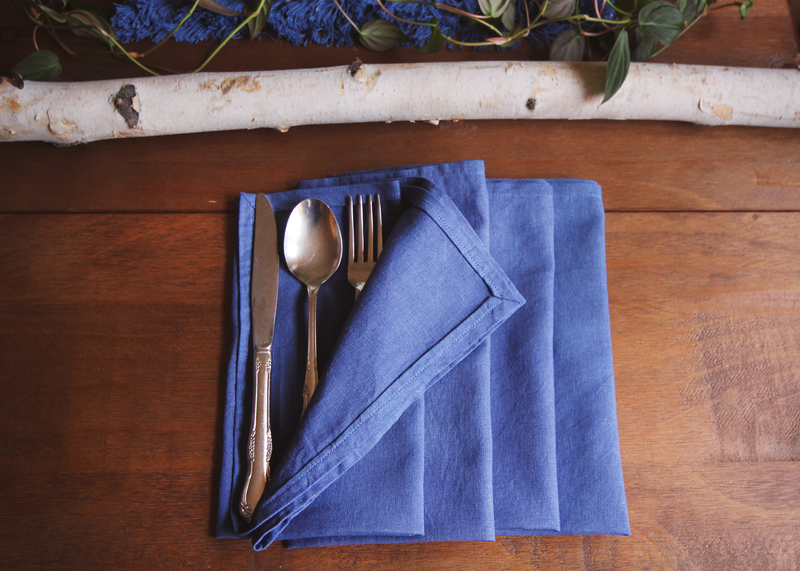 It was born out of my desire to have fabric napkins I could use when I had guests over for gatherings. 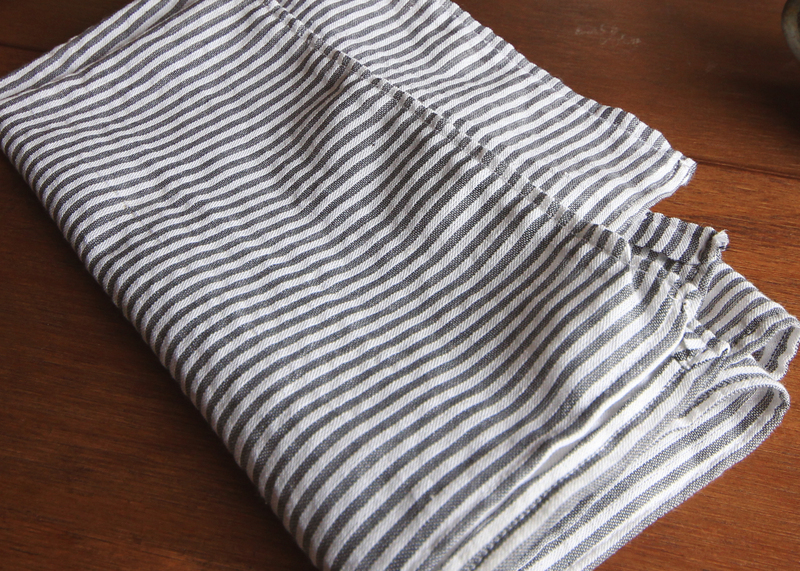 Paper towels and little cloths work just fine, but I’m a maker! 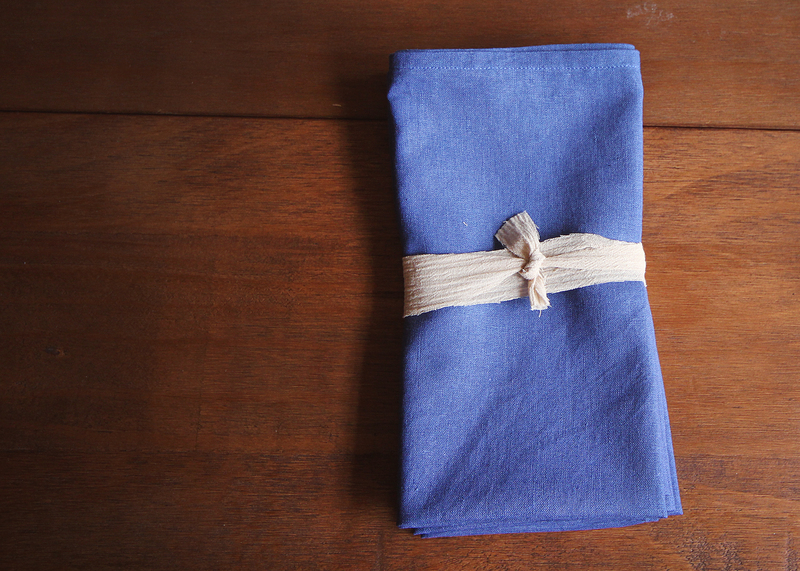 I can make napkins. 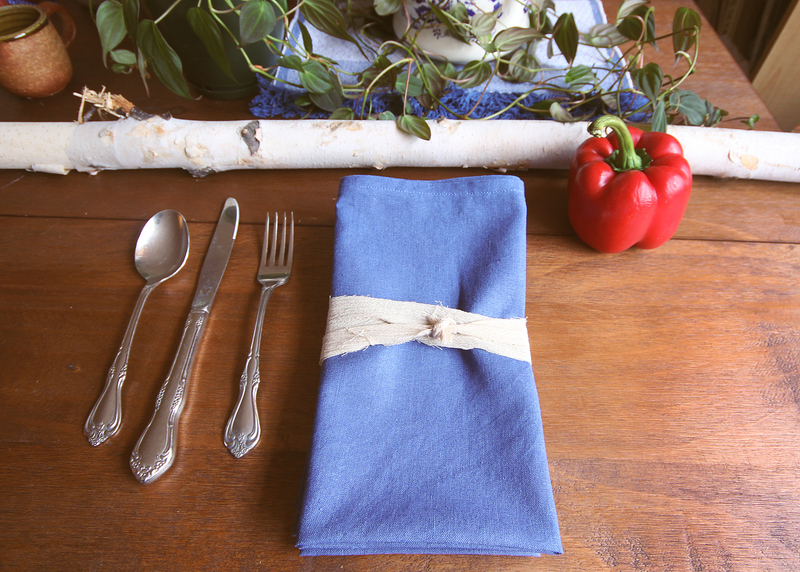 Determined, I wanted to create a napkin that I could use for gathering and I wanted to use my favorite fabric; LINEN! 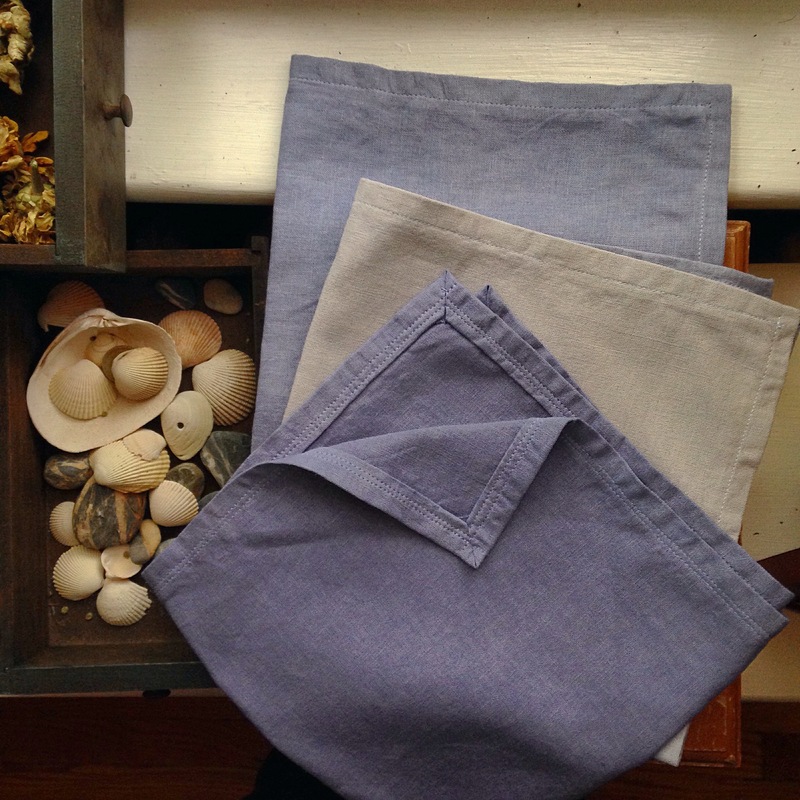 Linen is a beautiful cloth often used and worn in the summertime because it keeps the body cool and fresh. 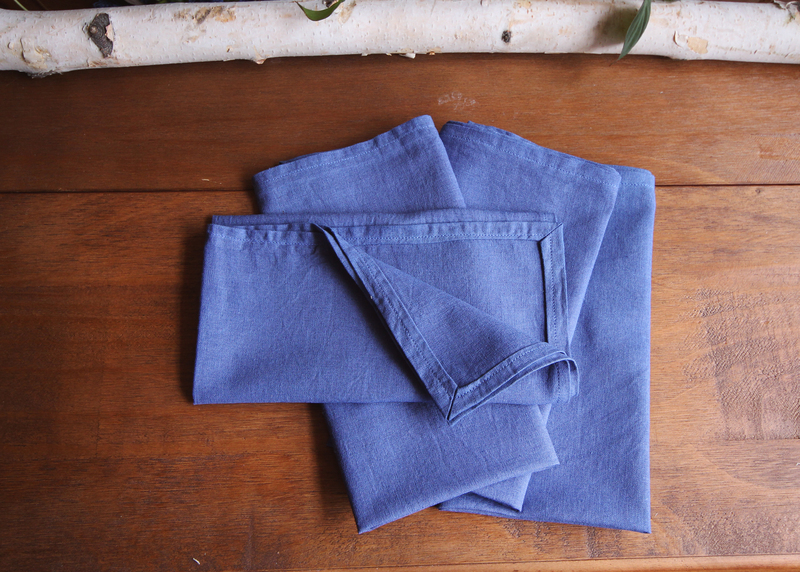 Linen is clean and simple. It’s natural and earthy. So my sewing machine has been kept busy sewing linens to create napkins and tea towels but I’ve also been creating half aprons, full length aprons and kitchen towels as well. I hand dye the fabric to match moods and personalities and decor. 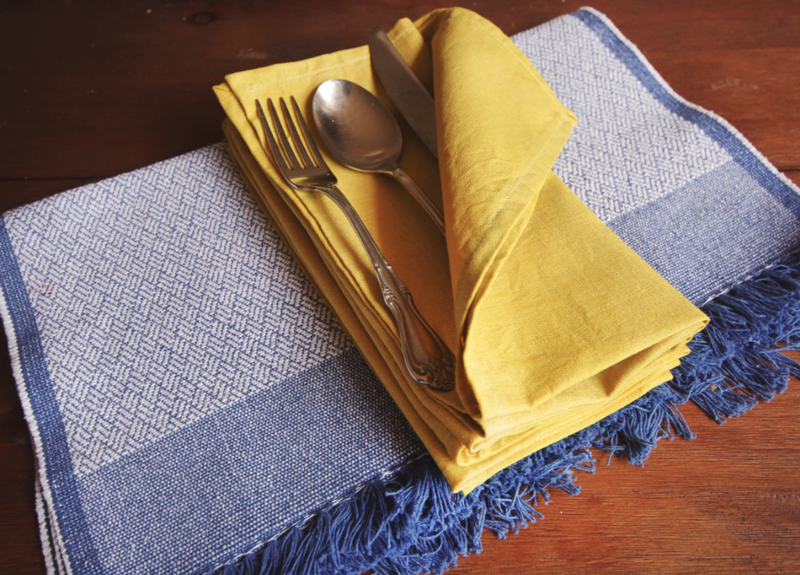 Cloth napkins add a nice touch to a sweet dinner or gathering for tea or coffee. 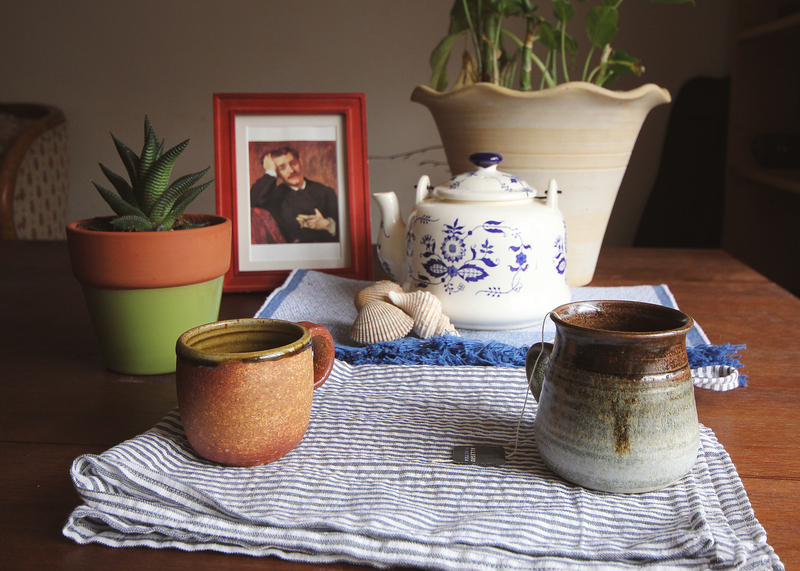 It adds a pop of color and handmade feel. 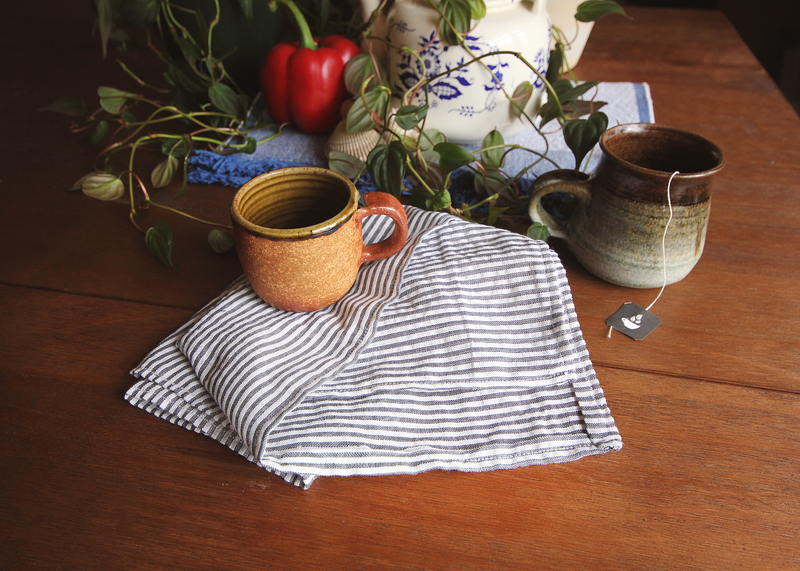 My hope is to push this to the maxwith organic linens and natural dyes but for now I’m having a lot of fun experimenting, designing and creating. 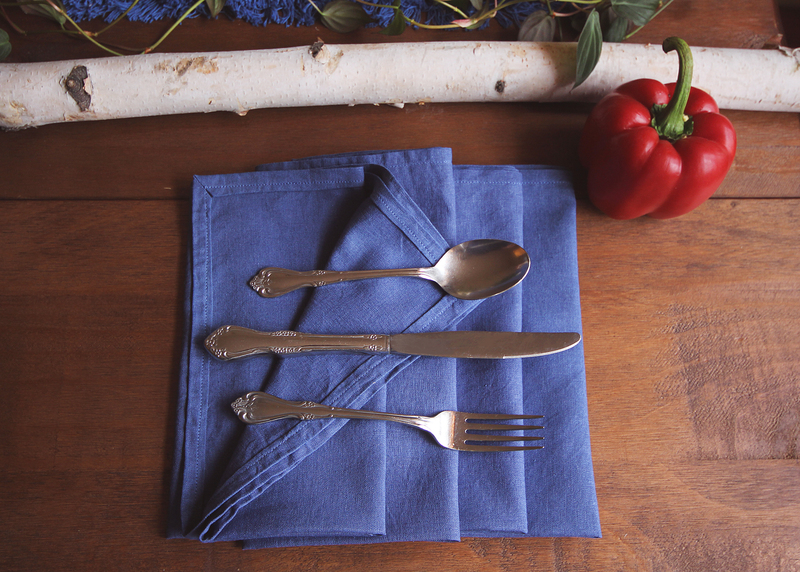 So here’s to linen and gatherings both big and small. Bread Making – Start small! It’s officially summertime and with summer comes extra time to be creative and create! Today, I chose bread! t takes time and a little elbow grease. You have to put the love in if you want to get love out. Remember: All good things come to those who work hard! This is the extent of the ingredients you’ll need. 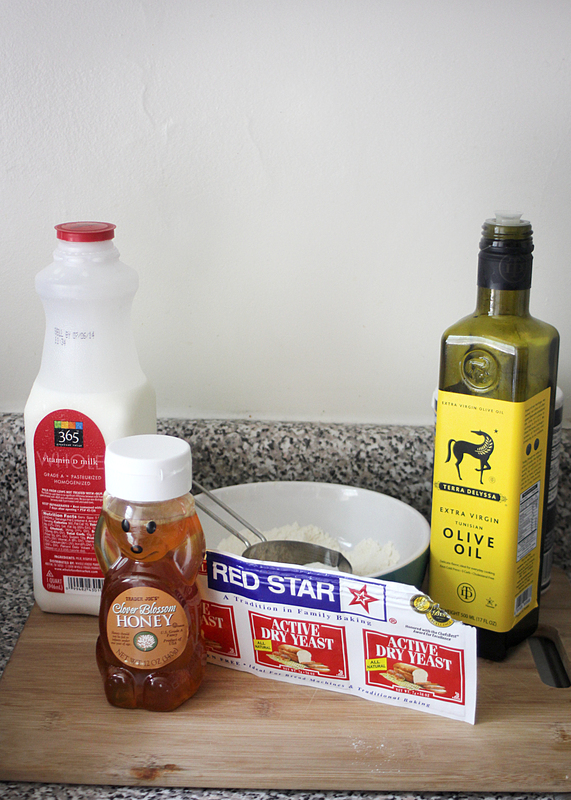 Milk, honey, yeast, flour,salt (it’s hiding behind the oil in the picture) and oil for coating a bowl. OH! And I forgot the butter. 1 TB of butter. That is all. No azodicarbonamide necessary! Lets get started. 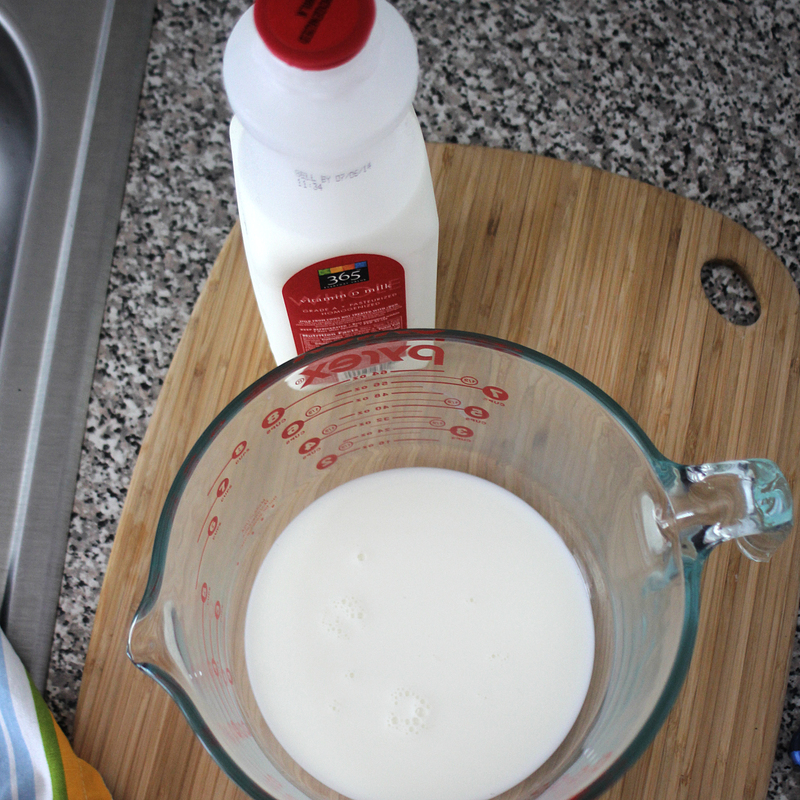 Pour 3/4 cup of room temperature milk into a large bowl. It’s important that it is ROOM TEMPERATURE because it needs to be warm to excite the yeast. Next add in 2 tsps of honey. Sweet, sweet honey. Melt 1 TB of butter. Let cool for a few minutes and then pour into the milk mixture. Butter melts FAST! Keep an eye on that butter…you don’t want it to burn. The last ingredient will be the yeast. 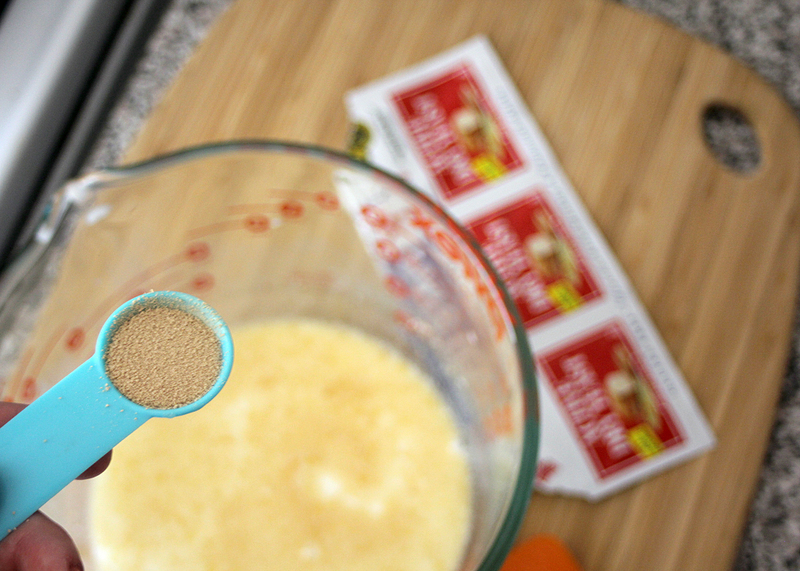 Add in 1 tsp of active dry yeast. Did I forget to mention salt? SALT! 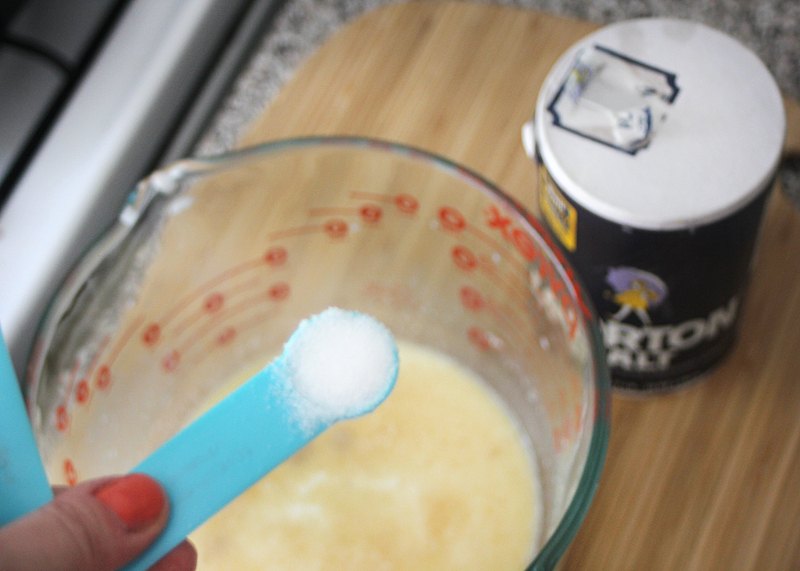 Add 1/2 tsp of salt to the mixture. If you left it out, the bread wouldn’t know the difference. So your choice my friends….your choice. Stir the mixture together and add in 1 cup of flour to start with. After mixing it should still be a wet mixture. This is good…this is GREAT! 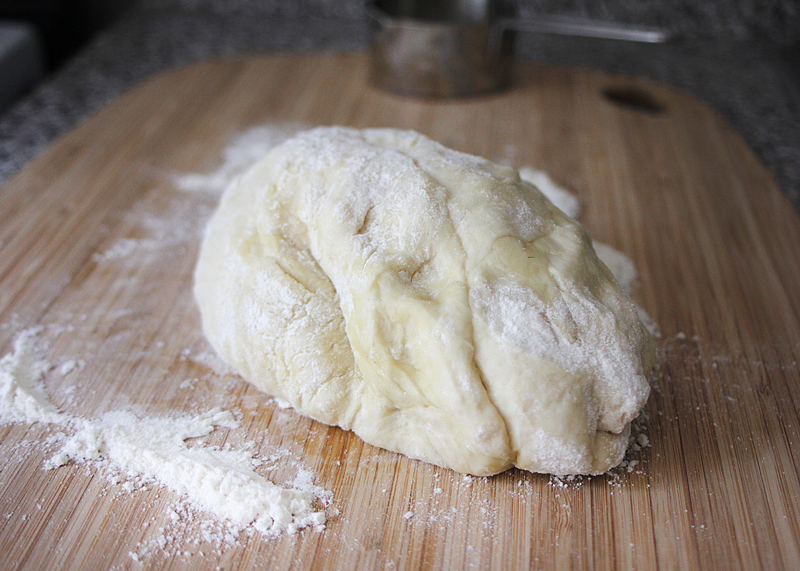 Add more flour until your dough forms a ball. There is no secret amount here. 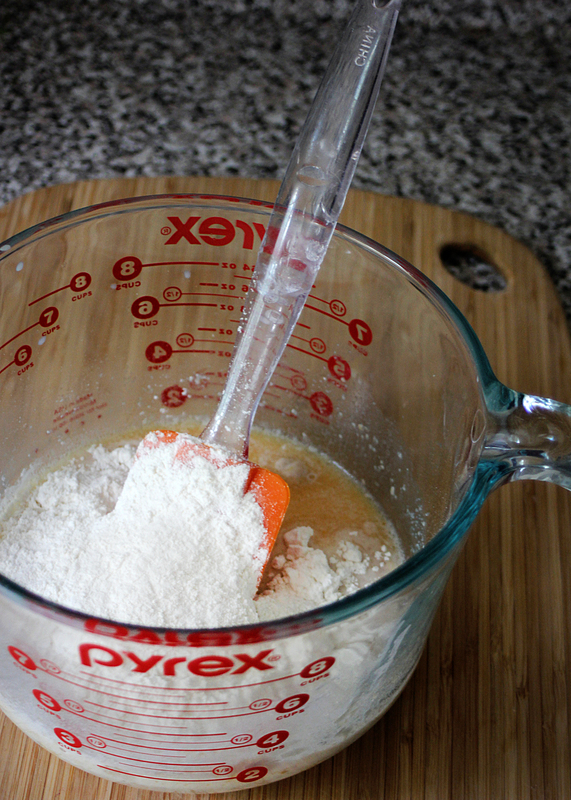 Just keep adding flour until the dough is not sticking to the sides of the bowl. 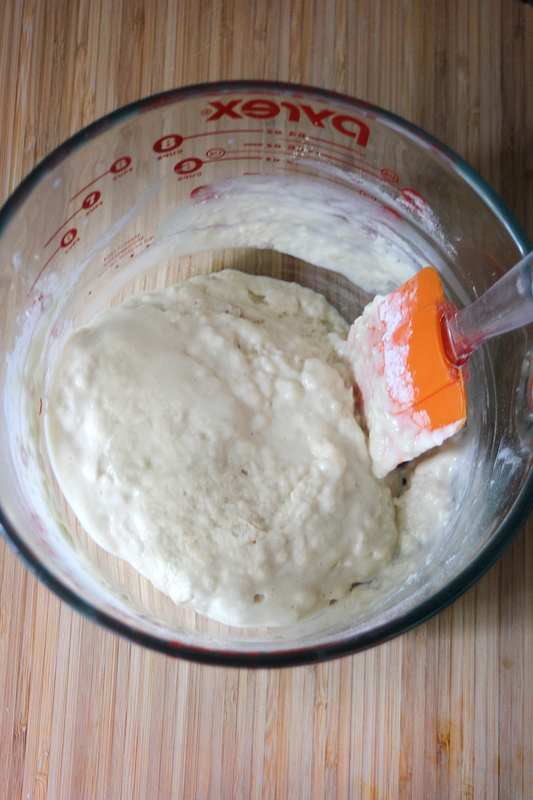 Allow your dough to become a free-wheeling ball of flour, milk and yeast. It should look a little something like this. Dump the dough onto a lightly floured, clean surface. Ready!? Time to knead. Roll up those sleeves and get ready to work. 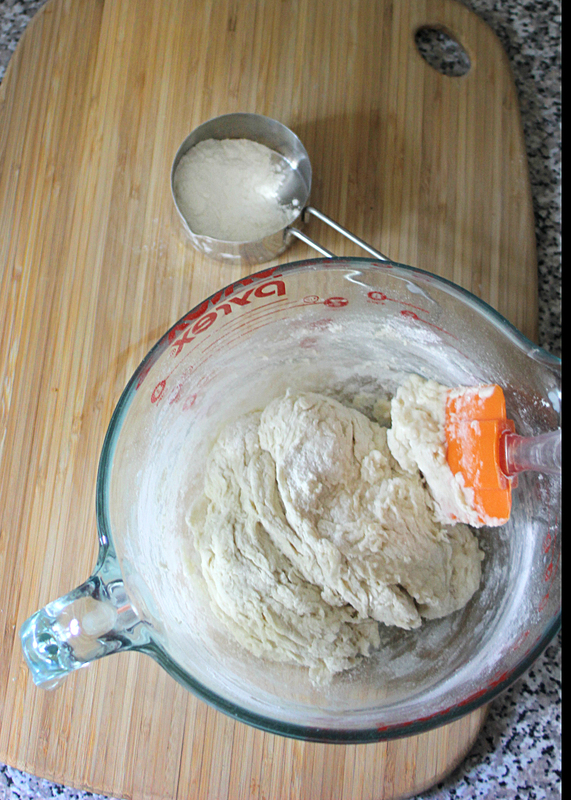 Knead the dough for about 4 minutes, adding flour lightly if it feels sticky. 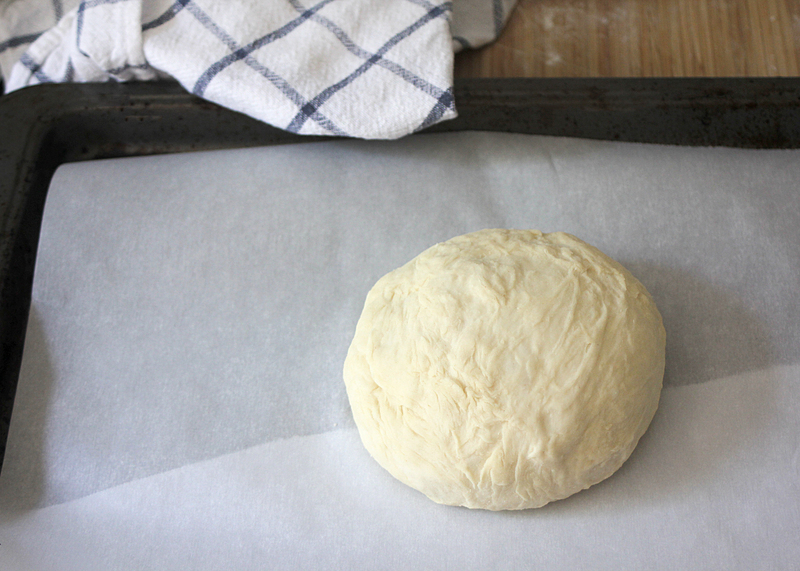 When the dough is forming a ball and is no longer sticky….stop. You’ve done it. Now you and the dough must relax. Looking good. This is such a sweet, small loaf of bread. I can taste it already! Now grab some oil and lightly oil a glass bowl. This is where the dough will rest. After lightly oiling the bowl, put the ball of dough in the bowl move it around on the oil and then flip it over so the top of the dough is slightly oiled. Place a light towel over the bowl and keep in a warm place. Let the dough rise for an hour. An hour of waiting for bread to rise is an hour reading in your favorite chair, getting some house work done, or taking a run around the block. Or…you can rest…like the dough. After an hour your dough should be doubled in size. Aw! It’s growing! So for the next part you will need a fist. Any fist will do. 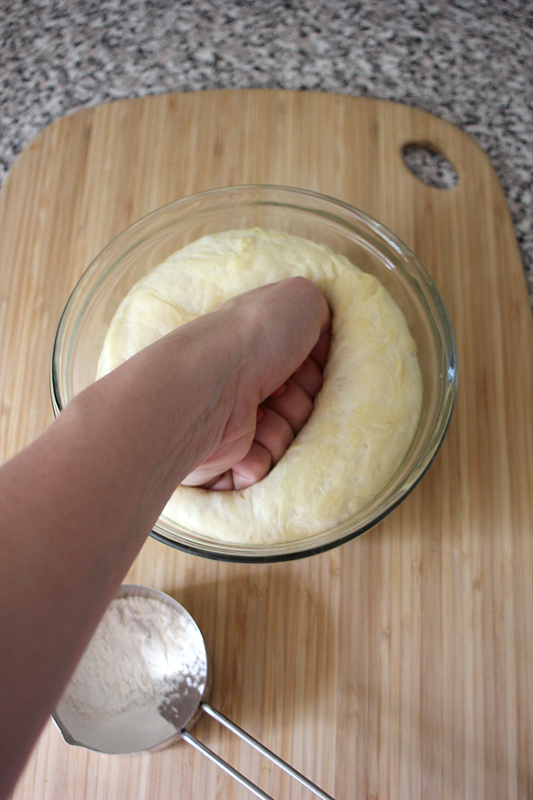 Your own, call over a child, ask your significant other to lend a fist and then punch the dough down into the bowl. This will release some bubbles that were created during the rising process. 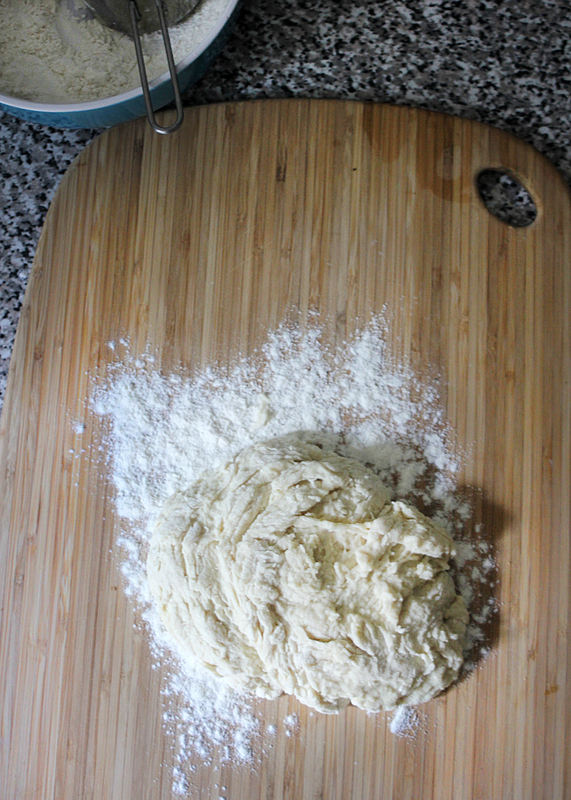 Place the dough onto a lightly floured surface again and…you guessed it. KNEAD! Another four minutes will do. This time, listen closely to all the popping bubbles that have formed in the bread during rising. Make sure you get all of the bubbles out of the dough. Knead until the popping stops…and you’ll have to listen closely! 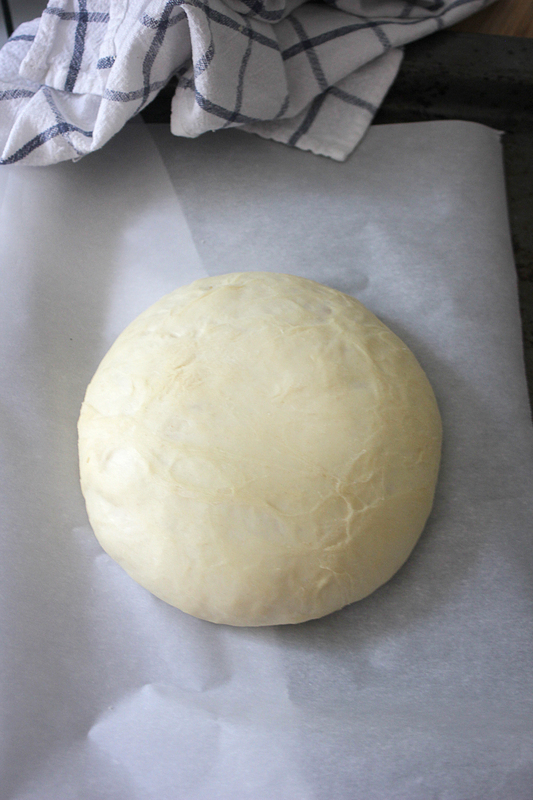 After about 4 minutes, form the dough into a ball shape again and prepare a baking pan or a bread stone. 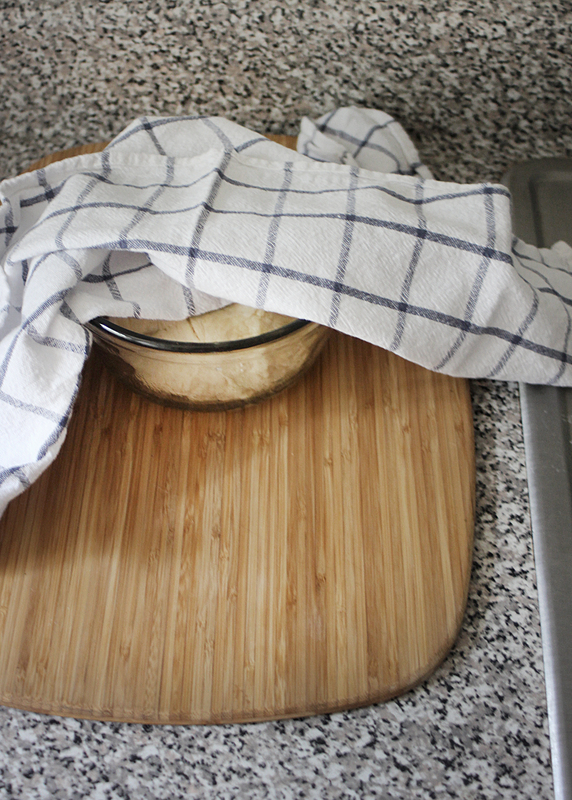 Place the bread on the baking surface of your choice, cover with a light cloth again and let rise for 45 minutes in a warm spot. 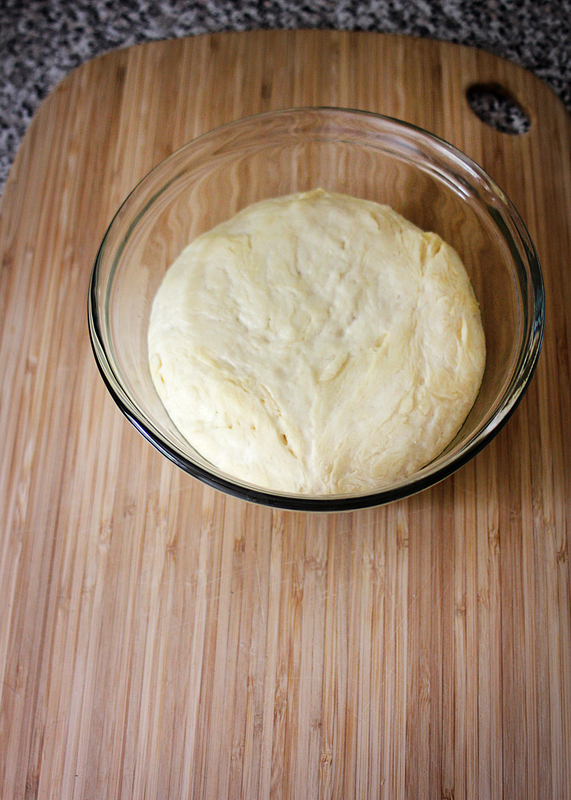 After 45 minutes, the dough should be doubled in size. Pre-heat the oven to 375 degrees. Place the bread into the oven and cook for 20-30 minutes. I like to set the timer for 20 minutes and then check in on it every 5 minutes. After only 25 minutes, I decided the bread was finished. Voila! 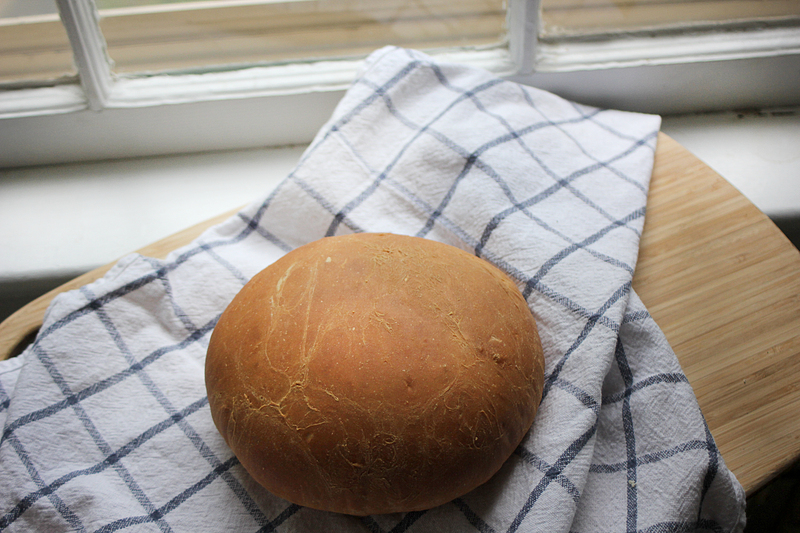 A beautiful small loaf of bread make from 6 simple ingredients. 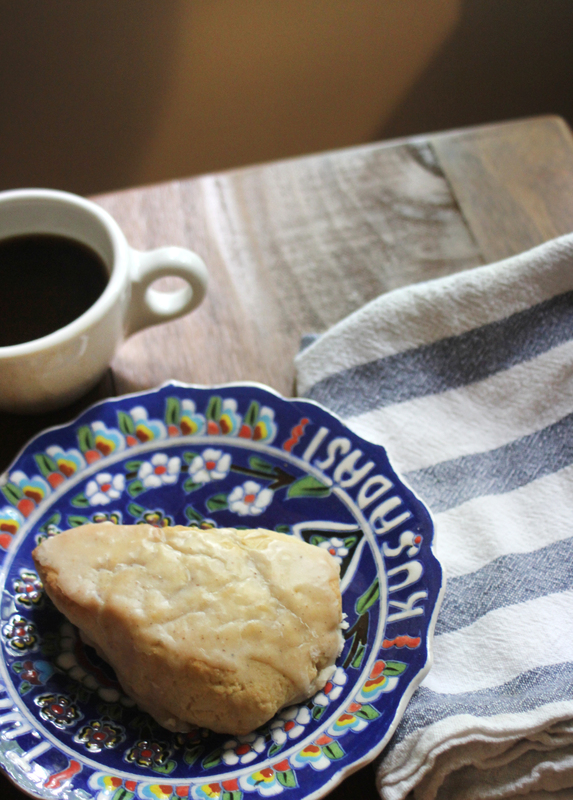 I encourage you to try this recipe! 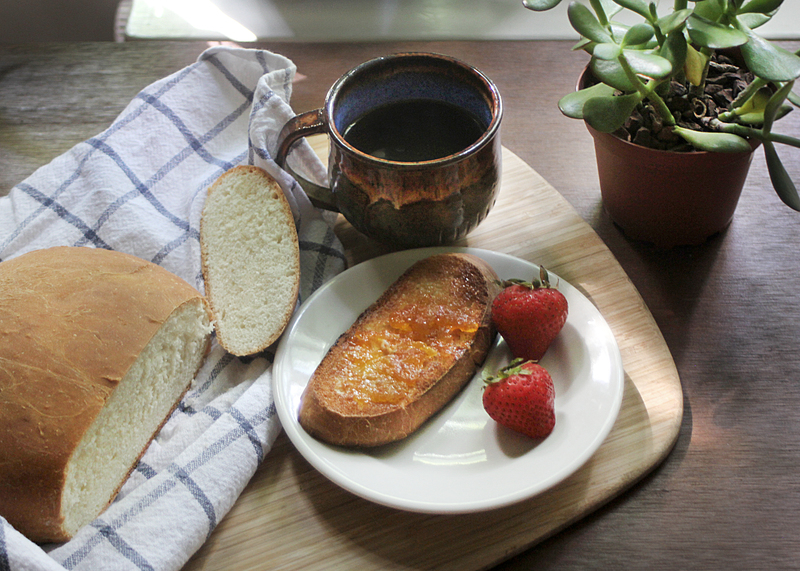 If you’re interested in making your own bread, start small! But get started! Think of the winter snow storms spent making bread instead of braving the roads to go pick up the last of the loaves left on the shelf! You have all summer to practice ! 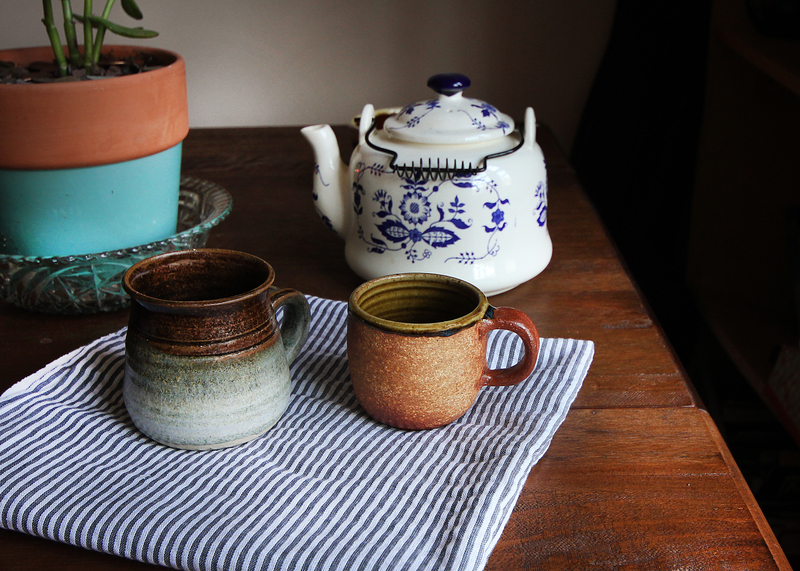 Enjoy with some preserves or jam and a strong cup of coffee or tea ! What’s YOUR favorite bread recipe. 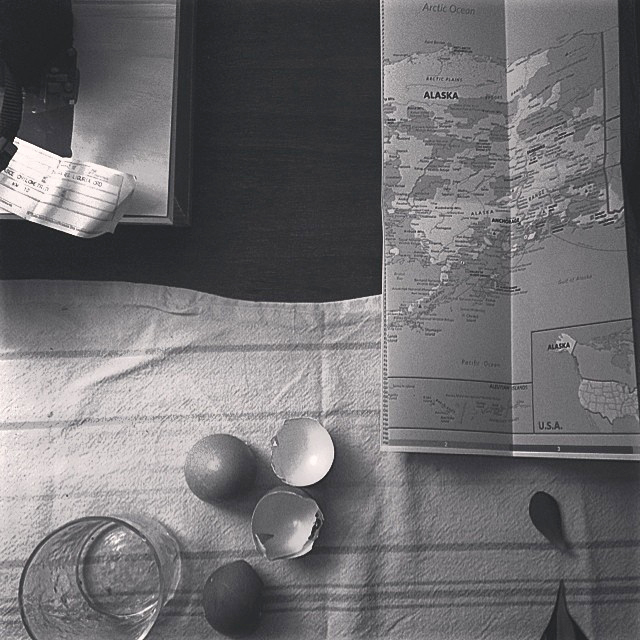 This summer I want to explore bread making, so if you have a recipe please send it along or post it in a comment! 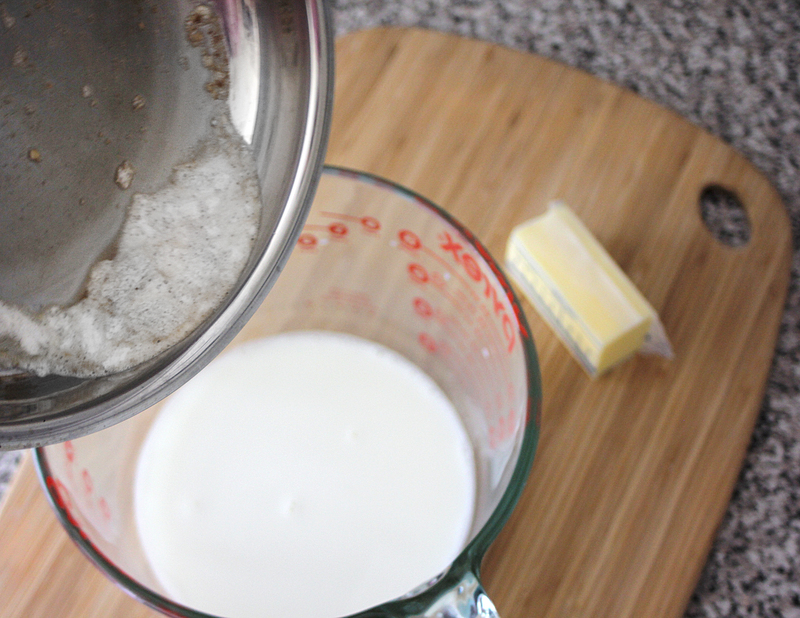 1.Pour 1 cup of milk into medium bowl. 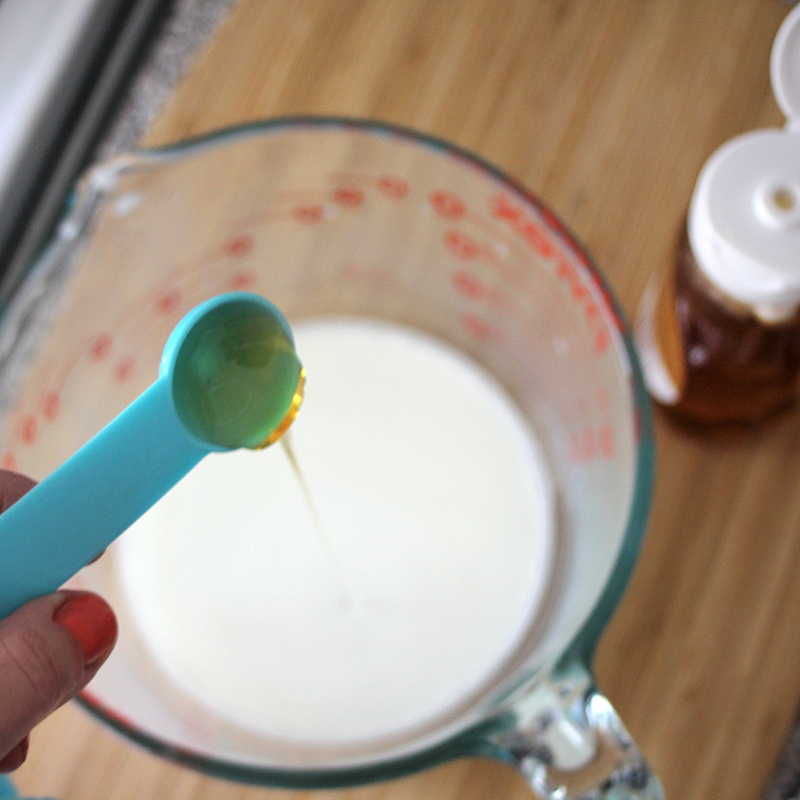 Add yeast, melted and cooled butter, honey and salt to the milk and mix. Add 1 cup of flour and mix. It will be a sticky dough. Add flour 1/2 cup at a time until dough forms a ball and does not stick to the sides of the bowl. 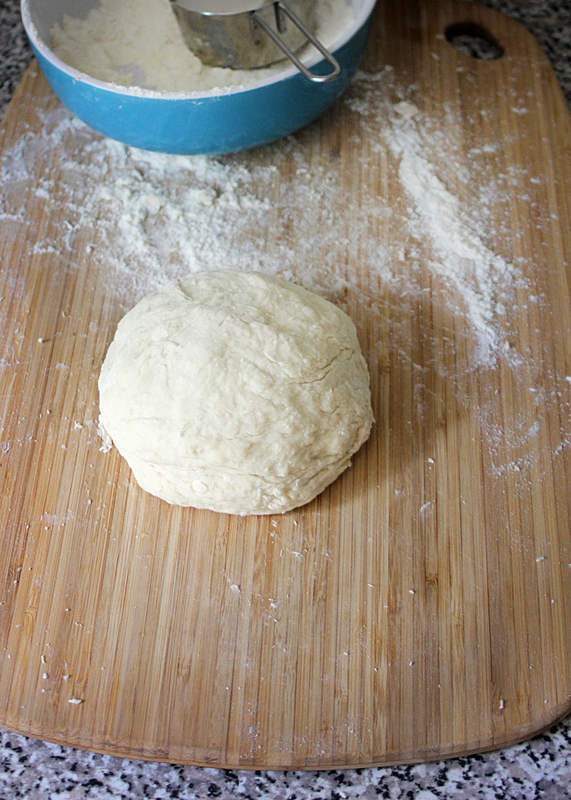 Dump dough onto a lightly floured surface and knead for 4 minutes and form into a ball. 7. 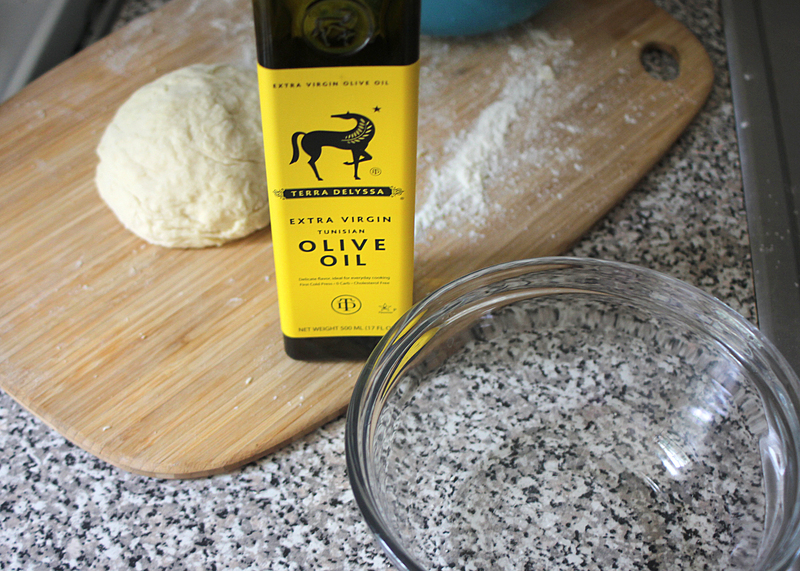 Coat a large bowl with oil and place dough in the bowl. Flip the dough so the oiled surface of the dough is face up. Let rise in bowl for 1 hour or until doubled in size. Punch dough down and dump on a lightly floured surface. Knead for 4 minutes or so making sure to release air bubbles. 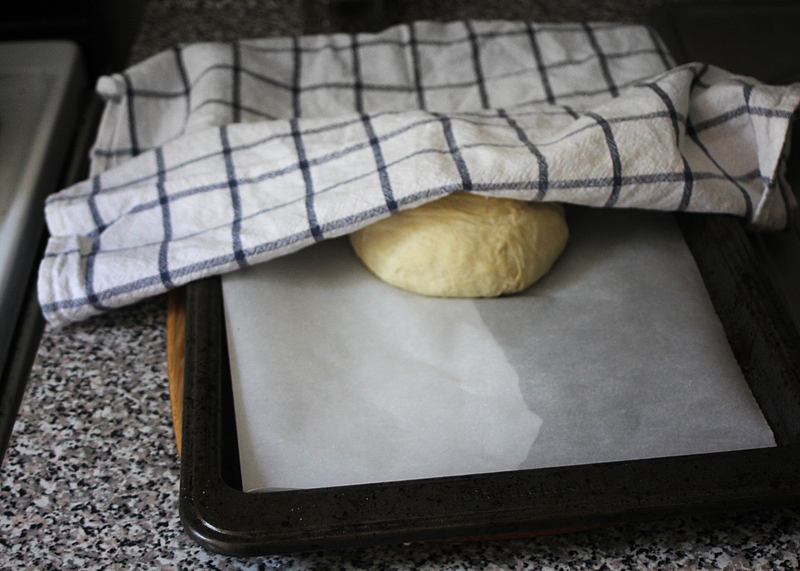 Prepare a bread stone or a baking sheet with parchment paper. 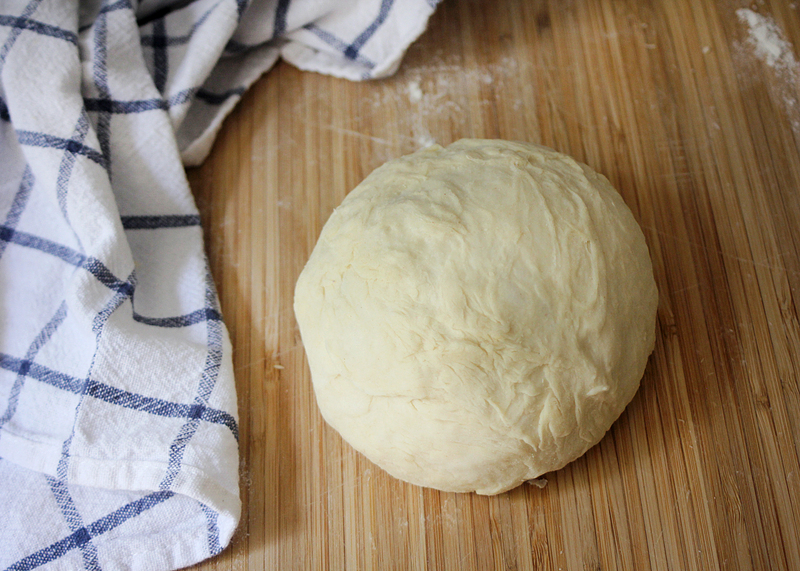 Roll dough into a ball shape and place on the cooking surface. Let rise for 45 minutes or until doubled in size. 14. Pre-heat oven to 375 degrees. Place sheet with bread into the oven and cook between 20-30 minutes. Start checking the bread at 20 minutes and take it out when it is browned around the edges and top. Let cool on cooling rack and then eat and….